Our server is jam packed full of features you will discover new things everyday take a look below at just why. Be whoever you want to be. In our city you can create your own identity and live it out to your fullest expectations. Ever dreamt of being a millionaire? a mechanic? This can all be done in the city of Los Santos. Our code is written from the ground up allowing us to expand constantly. Our custom written framework will allow you to live out your character with little restrictions. Excellent support from a dedicated staff team and community our forums, TeamSpeak Server and Discord means your questions will never go unanswered. Our whitelisted server applications are now open! If you wish to apply you can do so by clicking the link below or going to our forums. Our latest update 1.2.6 has been released with some great features and bug fixes. Take a look at our full changelog on the forums. Check out the excellent FAQ Guide by one of our community members. it gives you the answers to the most commonly asked questions we see. Click below to join our server now. Note: Requires FiveM and a Licensed version of GTA V.
If you die and get revived you remember everything that happened. However if you die and respawn at the hospital you forget the last 10-15 minutes of everything that happened And the people involved. Meta-Gaming is using out of character (OOC) information or 3rd party information in an in character context. For example telling your friend on Teamspeak to come and shoot a cop that is arresting you Teamspeak channels are for out of character discussions only and any information given in them cannot be used in character. If you are in an active roleplay situation and you disconnect to avoid any form of contact with any party involved you are combat logging. If you crash or lose connection please inform the person involved that it is the case and you will be back as soon as possible. This is a game. If the police forget to read you your rights its not the end of the world! When in RP try not to tell the police what to do. You are allowed to defend yourself and voice your opinions however. Make sure everything you do has roleplay in it. So think to yourself "Could this be done in real life" if the answer is no then you are failing to follow the rules and can be a bannable offence. Have a reason to kill people. This rule is universal among all servers and is common sense not because they looked at you wrong. RDM (Random Death Match) is seen as a bannable offence. This rule can go in hand with FailRP really. If your motive for doing something is i want to get in a police chase or get caught by the police then you are cop baiting. Any intentional cop baiting will get you banned. Only 1 Steam Account per person is allowed on the server. DO NOT create multiple Steam Accounts. You must use a first name and last name when you make a new character on the server. And it must be realistic! Do NOT block areas where jobs and shops are please. We don't need things spawning on top of each other. Wait your turn to do a job if need be. If there's a vehicle blocking the circle anywhere, ask for an officer to remove it over global help, or call 311 to get an officer to remove it! Offering players real money or gifts in exchange for in-game money, is against server rules. This is not a "Pay to win" game where players can trade real life money for game money! It is against server rules to steal and operate any emergency vehicles on the server unless you are whitelisted cop or EMT. You are donating towards the community, you will not be refunded for any donation recieved. You are not paying for a product such as queue priority, this is a thank you perk. Your donation will go directly to paying for the dedicated servers that host our website, TeamSpeak, and LSLRP game servers. 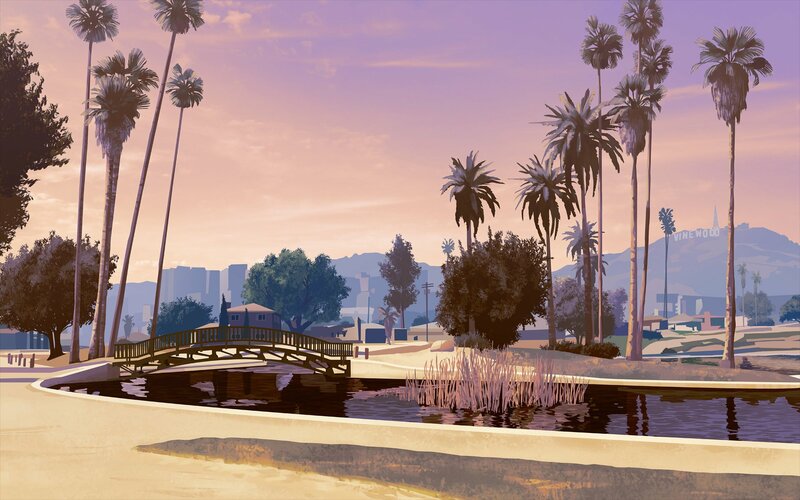 As we continue to move forward, donations will also be used to expand and improve Los Santos Life rp. We are a non profit community, meaning your donations will only be used towards the upkeep and development and improvement of our community and services. There is no recommended amount, we appreciate any and all donations! But donations above £10 will see you gain a little thank you in que priority.